Over the last decade, terms such as community mobilization, citizen involvement, community participation, community organizing, community dialogue, multi-stakeholder processes, interactive decision-making and social learning have been frequently used in the literature of community development. These terms embody the idea of bringing together different stakeholders who have an interest in a problem situation and engaging them in processes of dialogue and collective learning that can improve innovation, decision-making and action. Poverty, increasing population pressure, lack of alternative sources of livelihood and lack of education and awareness, commonly result in over exploitation of natural resources. The increasing destruction of the natural environment ultimately impacts negatively on the lives of the local communities, resulting in a cycle of poverty and environmental abuse. For our day to day project activities to be successful, a participatory approach in implementation is the right approach in any community. Sustaining cordial relationships and conducting need assessment fosters a good environment for initiation and implementation of conservation programs. In this regard, involving all stakeholders’ especially local community leaderships in all phases of implementation ensures a smooth rollout and successful closure of projects. Co2balance has since the inception of Kaptagat project involved local administration officers in the implementation of energy efficient cook stove project. This has positively contributed to good response in cooking habits change campaign. Immediate exercise in influencing adoption and successful partnership in this innovative program has seen close 16000 households adopt and reap benefits of using energy efficient cook stoves within the community. Despite everyday challenges, local governments are in a unique position to be a role model for efficient and sustainable practices within the local communities. As we traverse the vast Nyaru location, which comprises 2 sub locations and several many villages, the community leaders are so helpful when it comes to matters Carbon Zero. This has in turn instilled confidence and appreciation by the community. Many thanks goes to these community leaders as they are key to a conducive working environment and bringing an impact in our energy efficient cook stove project and to the entire community for embracing a conservation program that improves living standards. ESOS – Is time slipping away? The deadline for compliance to the Energy Savings Opportunity Scheme (ESOS) is, now less than 100 days away. So far to-date, only a small fraction of the estimated 14,000+ organisation that fall under the new ESOS energy efficiency scheme, have met their legal requirements. A report published by the Energyst, found that there had been only 32 notifications of ESOS compliance by June 2015. With less than 100 days to go, the situation is still not greatly improved with only 120 organisations having notified the Environment Agency of compliance. Based on the current status, co2balance estimate that 140 organisations must comply, every single day in order to meet UK ESOS deadlines by 5 December 2015. At co2balance we are doing our bit to help ensure that our ESOS clients are safely guided through the compliance process. Just yesterday, our team were in Crawley, at the Toshiba Medical Systems UK Headquarters conducting a site visit and looking at ways to reduce onsite energy consumption. It proved to be a highly informative site visit. With less than 100 days to go there could be a serious risk for the 14,000+ organisations and Lead ESOS Assessors, to the Environment Agency & the environmental credentials of the new UK Government. In Uganda, the evidence of climate change includes increased average temperatures and erratic rainfall, which pose a threat to human security. The impact of climate change has significant gender implications because of the different roles, needs, capacities and positioning of women and men in society. As a result, women and men are exposed to different risks and vulnerability. The risks make the women more vulnerable as a woman can spend up to almost 12 hours on household chores ranging from farming, to water and firewood collection, cooking and many other smaller tasks. 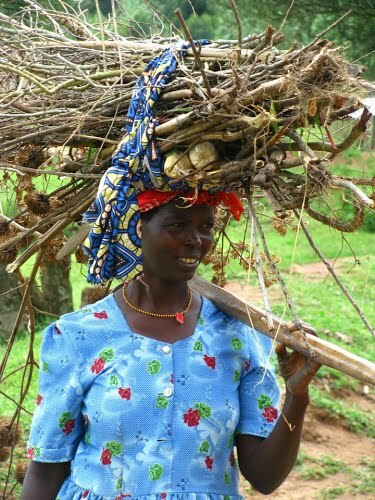 Because of women’s triple role in society, they are forced to walk further distances to get firewood and water. This makes them move out of their homes exposing them to risks of physical and sexual violence and also draining their energy. They take the risk of travelling long lonely distances in search of water and firewood, taking so much time doing all this. The water is sought in unsafe open wells which only means purifying/boiling is required – this means longer hours in the traditional kitchens preparing meals and also making the water safe for drinking. This is sometimes overlooked as the process of purifying this water is rather long – it entails boiling and letting it to cool which makes the family opt for drinking it unpurified. The firewood collected is most times partially dry and rather than spend more time drying it further, the women are forced to use them immediately in poorly ventilated kitchens hence so much smoking. This is harmful to their health as it causes so many respiratory illnesses. Improved cook stoves and safe water sources go a long way to ensure that women who are the most vulnerable to climate change, don’t have to suffer the adverse effects/dangers it poses. With improved cook stoves, they don’t have to travel long distances in search for firewood. All they have to do is source a little wood fuel or charcoal that they can use in their improved cook stoves and with that, they will have enough time to participate in other income generating activities. Access to safe water on the other hand can also help prevent the families suffering from water borne diseases and improve on their sanitation. 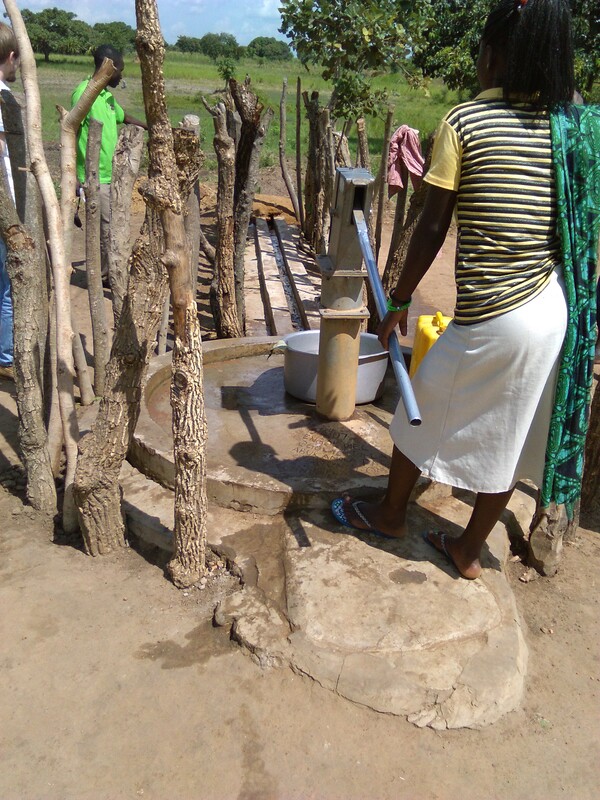 Co2balance with its WASH programme engages the community to ensure boreholes are being used properly and sustainably – this will only result into continuous supply of clean safe water. The traditional focus on energy savings as the main goal of energy efficiency policy has, at times, led to an underestimation of the full value of energy efficiency in both national and global economies. Energy efficiency can bring multiple benefits, such as enhancing the sustainability of the energy system, supporting strategic objectives for economic and social development, promoting environmental goals and increasing prosperity. Takings steps to be more energy efficient is about using less energy to do the things we need. But what are the benefits? Quite simply, there are many and they can be realized by all parts of society. Energy efficiency is a key tool in the fight against climate change as it can reduce greenhouse gas emissions from fossil fuels. Lowering household energy bills – is the easiest, most affordable and most effective way for families to use energy more wisely and save money on household expenses. In Kajulu East location in Kisumu East there is a crbon zero stove beneficiary; mama MILLICENT. She lives with her family; two children and her jovial husband Evans Ochieng. Millicent says that previously for many years she used a three stone stove that consumed a lot of firewood, which was a big problem to her and even to other community members. She calls the traditional stove “a beast” that could not give them space to breath. The stove consumed a lot of firewood meaning they had to spend most of their savings on fuel. She says her family could sometimes go hungry especially when it was raining for lack of fuel. Millicent continues to narrate that after receiving Carbon zero energy efficient stove women and families that benefited have really improved their lives. The costs on fuel were drastically cut and enable most women to save for other issues. She adds that the new stove uses less firewood and now she can save time to do her business and look after her family nicely. With a radiant smile Millicent says that from her wood savings she managed to open a small Kiosk; she sells fruits in Kisumu town. With her business she has improved her living standards and she is even able to pay school fees for her children. She further narrates that the CZK stove has been great in turning the tide in her life and the whole community as a whole; their lives have changed for the better. She is very thankful to Carbon Zero Kenya for changing her life and the community at large. From the above narration its true that while climate change is a challenging issue, solutions are possible. To be effective, all parts of society – governments, businesses and individuals – need to work together and do their part. The science is clear – climate change is happening and is caused by the release of increasing quantities of greenhouse gas emissions from human activities i.e. the use of traditional stoves. Because much of the increase in greenhouse gas emissions is a result of burning fossil fuels for energy, energy efficiency has a key role in tackling climate change. By using energy more wisely, we need less energy to fulfill our needs. With improved cook stoves (ICS) increasingly distributed to households for a range of air pollution interventions and carbon-credit programs, it has become necessary to accurately monitor the duration of cooking and the amount of fuel consumed. Nearly half of the world’s population cooks domestically with traditional biomass-fuelled stoves. The ability to measure cooking dynamics accurately over a wide range of cooking styles is useful for a range of interventions and social programs. Sustainable developers believe that systemic change – a real transformation of the global economic system – is required if we are to achieve the scale of change that will limit global warming and prevent catastrophic climate change. Currently Climate change is a hot topic, especially with the rising energy demands that are competing for a limited supply of fuels. Energy security and a clean energy revolution have never been more important. Focus on the importance of clean cook stoves is growing a result. 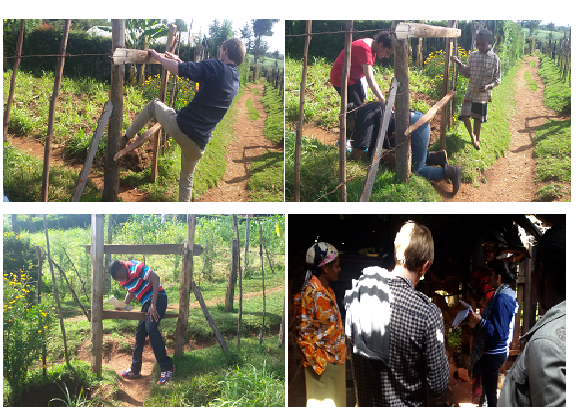 Early this month we had a site visit verifying two of our VCS projects; Mathira in Central Kenya and Kaptagat in the Rift Valley. We were impressed to have the field one on one conversations with stove beneficiaries who were very delighted with our improved cook stoves. It was interesting to learn directly from stove users that the CZK stoves have been of great importance to their lives. Many narrated how their lives have changed over time in terms of health, economic savings on wood, time they have now to engage in other economic activities etc etc since they acquired the CZK ICS. The local authorities i.e. village elders and chiefs narrated how their villages have changed for the better with less trees being cut due to reduced wood usage. This captivated us so much that we wish we could do more to keep transforming rural lives and the world at large. 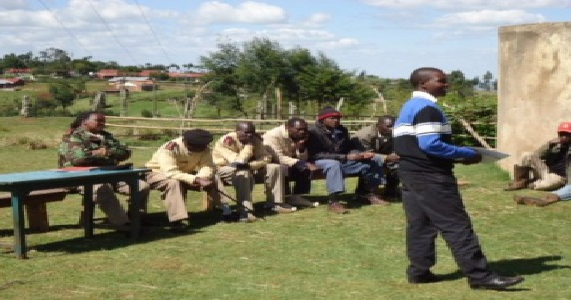 The impacts of the projects remain clear among the community members with important lessons that can be taken. Walking through the tough terrains in the rural villages is never an easy task, it calls for passion. But with our belief that the humble CZK improved cooking stove could be the next big idea to save millions of lives in poor countries keeps us going. With the great lessons for the site visit at Carbon Zero we believe that as the discussion on the role of ICS in climate change continues to gain international attention, development programs and research institutions alike will keep striving to capitalize on the development, adaptation and mitigation opportunities it presents for a better world. The demand for food, fodder and biofuels is growing everywhere, and the value of land is rising accordingly; so is the need for clean safe water. 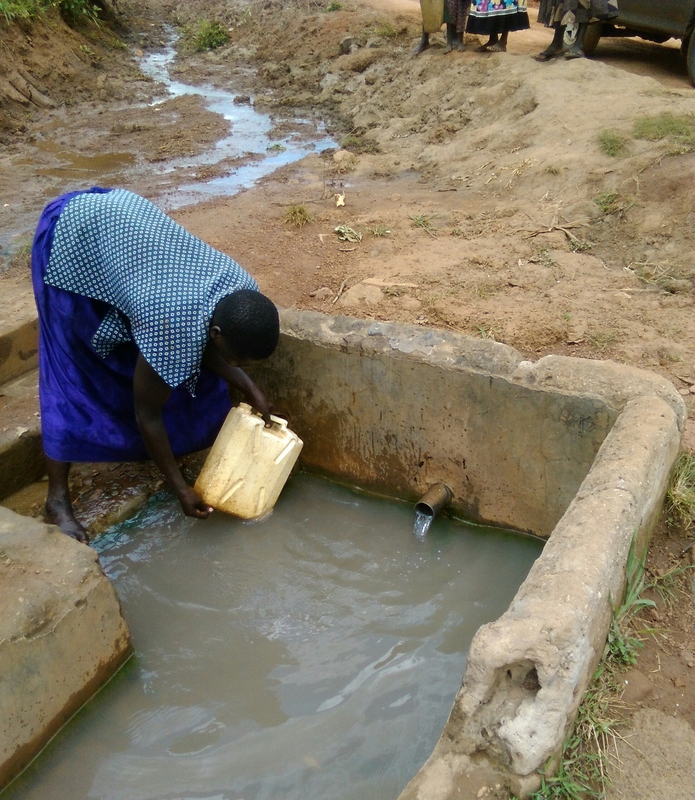 Traversing the Lango sub-region in the Northern part of Uganda made this need louder as many villages still do not have access to clean safe water which promotes environmental sanitation – an integral part of human development. In the past, in a bid to access water, children and women whose role primarily is to fetch water for the household faced a lot of problems in the process of accessing it. They had to travel miles to distant lonely open wells and ponds where they were faced with dangers of wild animals, kidnappers, assault, and insecurity among others. 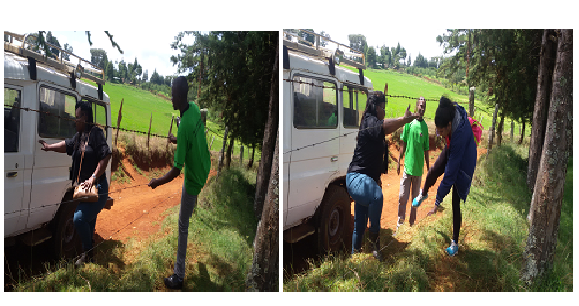 Not only was the trip unsafe, the water too was not fit for human consumption pausing challenges of water borne diseases which meant so much money would go into medical bills. 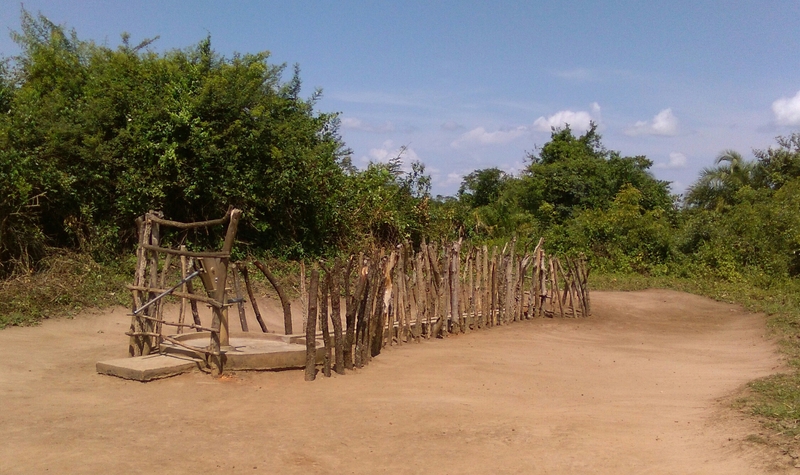 Co2balance with its borehole rehabilitation, annual planned maintenance and reactive repair has gone a long way in improving water accessibility in the Northern Lango sub-region and the Eastern District of Kaliro in Uganda. Women and children no longer have to travel long distances to collect water. This saves them the extra work that goes into collecting firewood to try and purify this unclean water. They are also saved from the time wasted collecting water and firewood. The extra time now goes into doing other developmental things that helps the families to earn an extra income. The children also now have ample time to stay and concentrate in school. 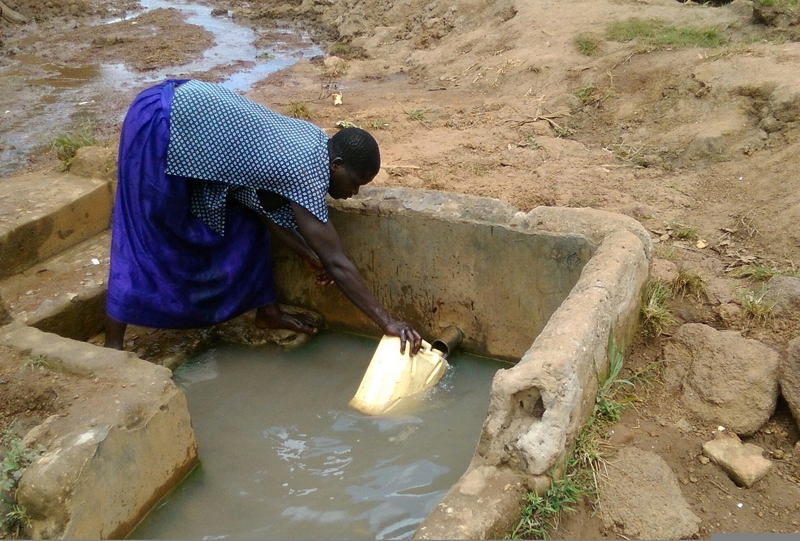 Co2balance works with local partners (J.O.Y Drilling Ltd in Lira and WAACHA – Women and Children Affairs in Kaliro) to implement their rehabilitation and maintenance program and this ensures that it is well implemented and continuously providing clean water. It also works with district local government leaders in their different capacities to seek solutions to water scarcity. All this is in a bid to promote health and wellbeing, protect the environment while providing clean water. Clean water should no longer be a far-fetched dream but rather a reality enjoyed by everyone. The pictures below show a typical open well that is so prone to disease causing vectors and animal contamination while the other shows a well protected hand pump borehole that was rehabilitated and is now being maintained annually by Co2balance.